We are going to be covering three topics in this. Improving your website page load speed, improving your mobile friendliness and having a clear call to action. When you combine all three of these you will have yourself a very high converting website. 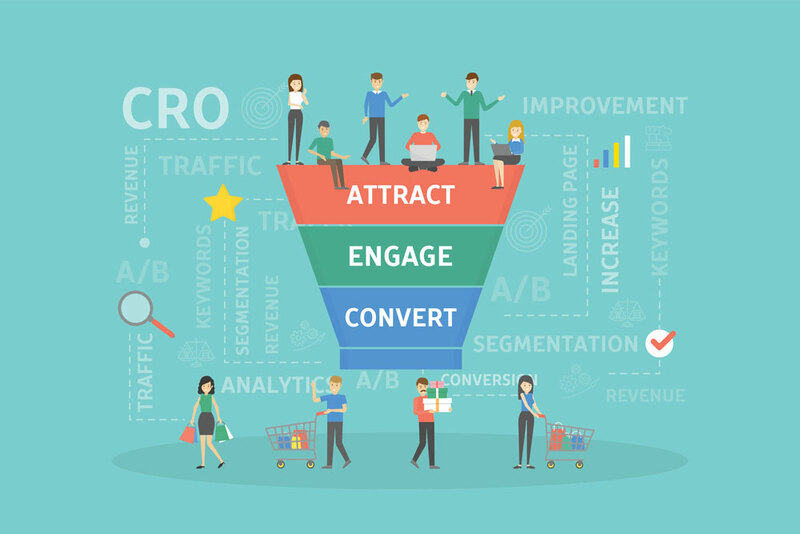 Obviously, results depend on the industry and other aspects of your business, But in terms of increasing your websites conversion rate, these are the three major aspects of that. If your website takes more than 3 seconds to load, you will lose almost half of your visitors before they even get to your website. This is obviously a massive deal if you are using your website as a means of getting leads or customers. Another study shows that for the customers that do stick around after the 3 seconds mark, up to 79% of customers said they wouldn’t return to the site because of poor performance. Images play a huge part to websites. They allow you to showcase your services or products and allow the customers to see what you are selling and get a feel for your business. Your website should have nice images, but you have to make sure they are optimised correctly. I’ll give you an example; Your website probably has images taken with either a proper camera or just your smartphone, generally speaking, the resolution of these is anywhere between 2000x2000 to 4000x4000. Which probably look great, but the website itself is usually only displaying these at 100x100 to 400x400. This can massively slow down your load times because when a customer comes to your website, that page is essentially downloading all of those images for the customer to see. This can really add up depending on the number of images. Make sure you go through your images and optimise them! A more simple website design has been proved to convert better than their visually complex alternatives. When too much is going on, customers tend to get confused or overwhelmed when trying to find out simple information. This will potentially cause them to leave the site to find out information elsewhere, or even worse, go to your competitor’s website. A simple design allows the customer to find what they are looking for quickly and efficiently without wasting their time. Most customers don’t purchase or call up on their first visit to your website. They might be at work or in the middle of doing something else while on your site. That or they may just be researching their options for the particular service or product you provide. If you enable caching, you can massively reduce the page load time for repeat visitors. When you enable caching on your website, the visitors will store elements from your website on their hard drive, known as “Cache”. The next time they come to your website, their browser can load the page without needing to re-download all the elements, and as mentioned in step 2, decreases the HTTP requests. Which decreases page load speed. Its no secret that everyone has a mobile phone, so your website NEEDS to be optimised for them. If you haven’t changed your website since you first made it, then you need to make sure that when you do update it (You need to asap) that you consider the following tips im about to share with you. One of the biggest differences between your normal desktop website and mobile websites is that the visitors will be using the touchscreen and not a mouse to browse around. People are used to swiping and pinching in and out to zoom, so you need to make sure the website is interactive and respond the way people expect it to. All too often I see websites with either way to big of fonts that barely fit on the screen or it is far too small and you spend all your time zooming in and out. Make sure that you test your website on multiple different phones with different size screens to ensure everything is easy to read and actually fits on the screen! The last thing people want is to have to try and click the tiny little “x” to close a popup or try to navigate around something trying not to trigger a popup. Nowadays people seem to have a bunch of different popups trying to get an email on their website expecting people to either fill out a form or click on it to buy something else. Keep it simple and clean, make that information part of the page if it’s so important. You can usually get away with having email popups, chat boxes and alerts on the desktop version because it doesn’t take up to much screen real estate. But on mobile, you have to make the most of room you have. Having a clear call to action is probably the most important and directly related thing you can do for your websites conversion rate. I see a lot of websites that just don’t tell me what to do once I am on the site. They have all the relevant information I need and I decide I want to do business with them, buy their thing or order their food, whatever it may be. But I have to search for an email, phone number or the buy now button. Now usually it’s not THAT difficult, but this should be one of, if not the most prominent things on your website. If you are wanting people to call your business, then you must have your number stand out at the top of the page. Generally, I suggest putting this in the top right of the header with big bold lettering and a colour that grabs the visitors attention. You also want to have it throughout the website’s pages making it as easy as possible for the customer to be able to get in contact. It needs to be a button they can click that tells them why they need to call you. That might be, “Need a lawyer? Call us” or “Call now for a quote” with a button below or next to it. Make it an obvious thing for the visitor to do if they are wanting to work with you or buy your thing. To sum it all up, you need to make sure your website is user-friendly and has your customers experience first in mind. If you are in a competitive niche, you have to be better than your competitors. Consider your website as the front page of your business and your online salesman. Would you want your salesman wearing daggy track pants and a ripped shirt? No, obviously not. You want them looking top notch, clean cut and confident in your service. So make your website reflect that. Implementing these strategies is just the tip of the iceberg when it comes to converting your traffic, business practice, competition, demand etc. But, these are a few relatively simple things that you can make a change to with immediate effect.